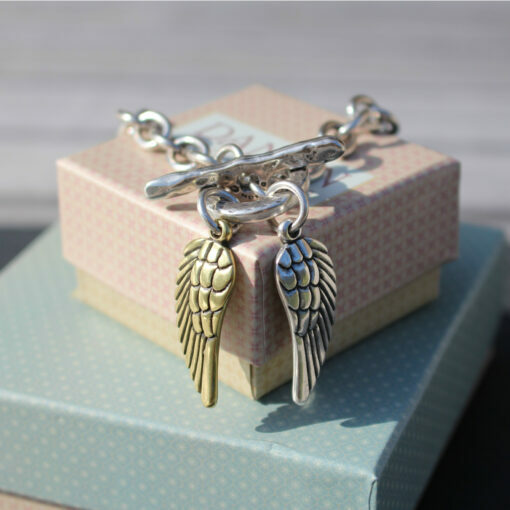 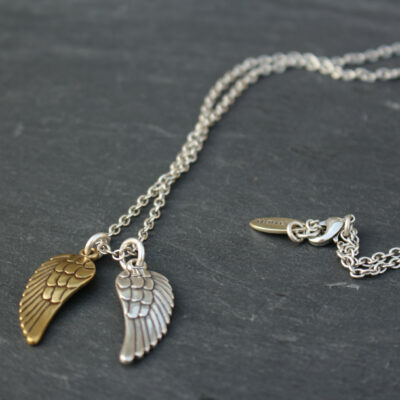 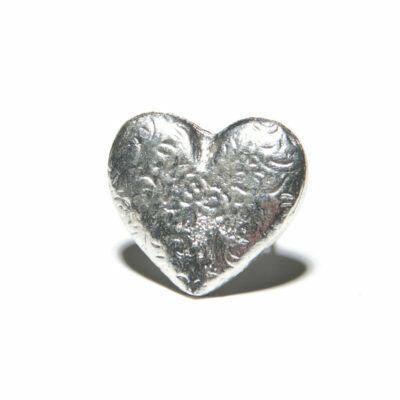 We’ve got a treasure trove of Danon jewellery in-stock and this Chunky Silver Bracelet with Two Angel Wing Charms (one silver, one gold) and T-Bar fastening is the perfect find. 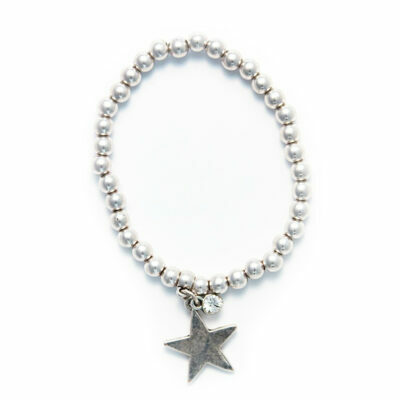 Bracelet Chain 8cm in length. 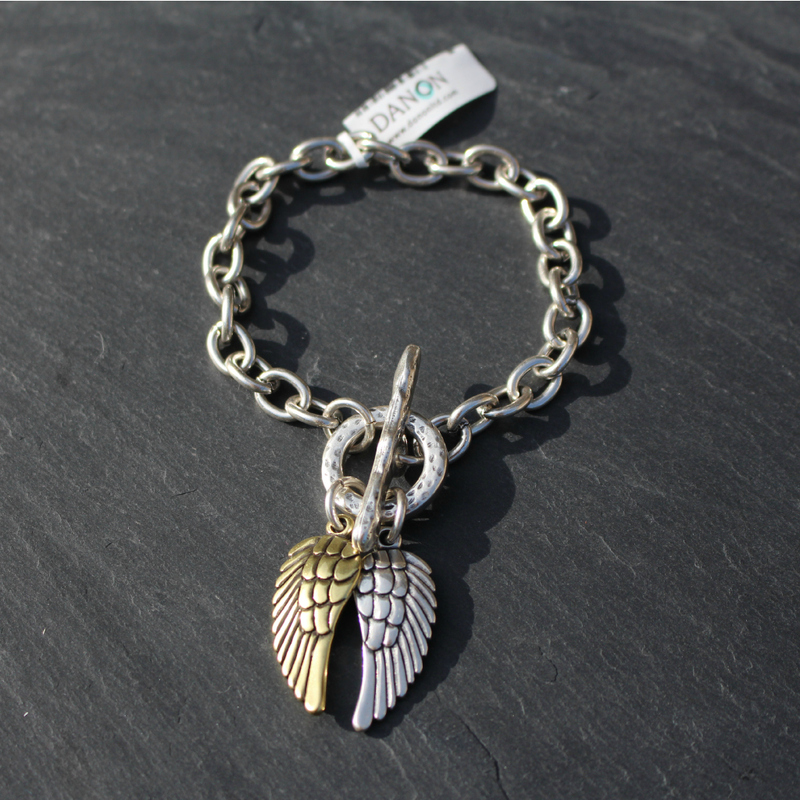 This chain of this gorgeous Danon bracelet is made from antique silver links, it fastens with a chunky antique silver T-Bar and hoop clasp which has a hammered finish. 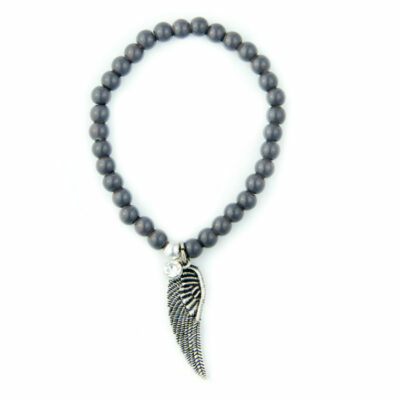 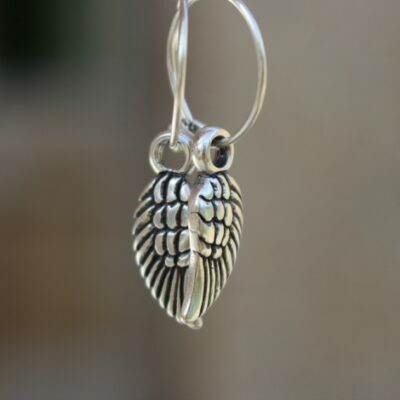 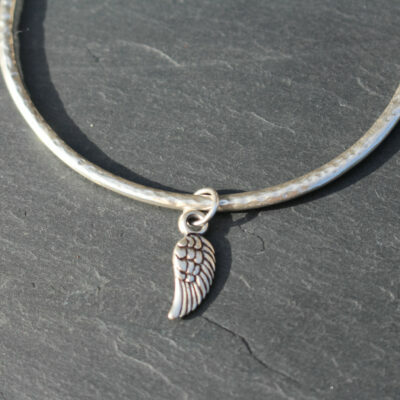 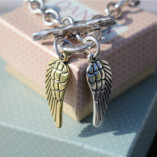 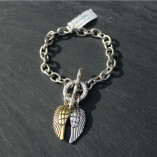 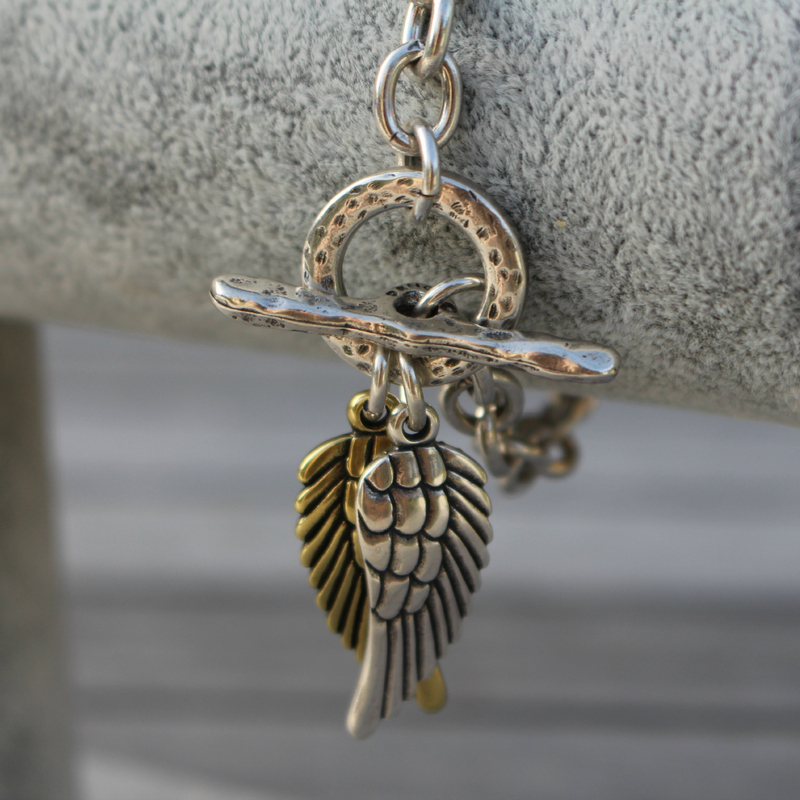 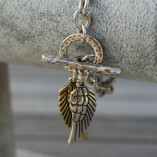 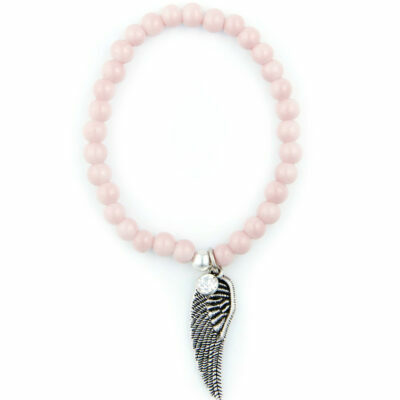 The bracelet features two intricately detailed angel wing charms dangling from silver hoops attached to the hoop clasp. 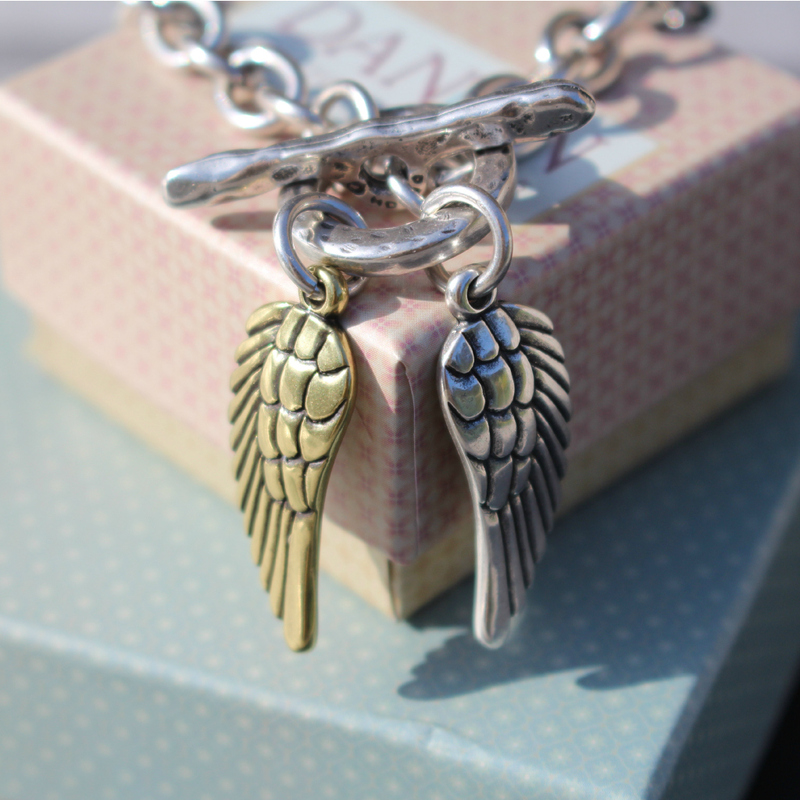 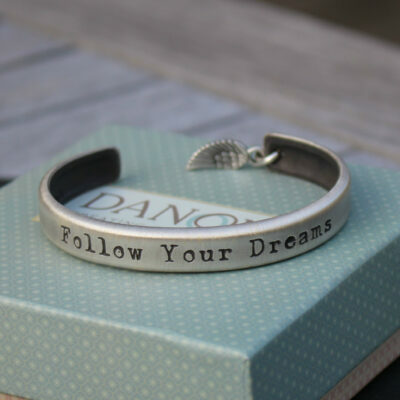 Fabulously chunky bracelet from Danon’s Angel Wing Collection.